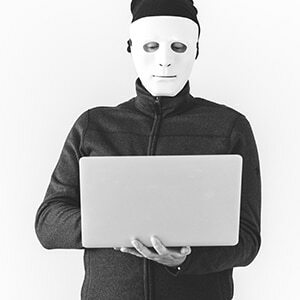 Apart from malware and data breaches, identity theft is the most used method by cybercriminals to obtain data and funds from unsuspecting victims illegally. 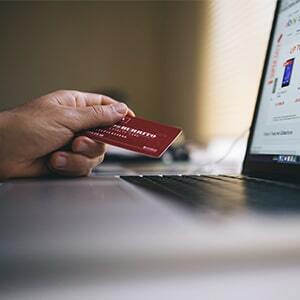 With this method, cybercriminals gain access to your financial accounts, assume your position in all your socially registered platforms – some even attend events and services in your identity. Perhaps you’ve already fallen victim of identity theft in the past, and if you haven’t already, you wouldn’t want to have a taste of it. Below are practices that will help you keep your online data safe and sound, away from identity thieves. Phishing sites always appear to be legitimate, but most of them are looking to harvest your data or drop malware to your device. They ask you to input your personal information like username, password – some will even ask for your social security number, address, credit card number, insurance data as well as a driving license. It is important to know that the request made might seem normal like instances of applying for insurance or opening a bank account. If you ever have doubts about a site, make sure you check whether the site’s certificate is valid by looking at the HTTPS details. Additionally, you can visit their contact page and try getting the validity of their physical locations. Online thieves will always look out for your passwords to have access to your data. It’s advisable to use the standard password practices when coming up with a password for your account. They include using strong passwords that are unique to each account. Additionally, use good password managing tool to store your passcodes and passwords safely. Giving out too much personal information on your social media account is a risky affair. Hackers and phishers will always look up for your online information whenever they make you their target. While social media is a convenient platform where you can interact with the rest of the world, be careful of third-party apps which always send links on both your timeline and direct messages (DMs). Most of these links will ask for your data once you open them, and you will end up compromising your identity. Keeping tabs on your financial information is key to fighting identity theft and avoid fraud. Chances are, someone already has your financial information and is already planning to use it. Make it a habit of requesting your financial statements so you can always go through them. In case of any suspicious transaction mostly through your credit card, then seek out for clarification. If it turns out you have been compromised, then close your account immediately, and request to reopen another one thereafter. In as much as you practice the above safety precautions, always use a VPN to help keep your online data more secure and private. A VPN does this by keeping you anonymous when surfing online. It achieves this by encrypting your data, thus making it hard for phishers and stalkers to get to you. Additionally, a strong VPN will hide your physical location by masking your IP address.